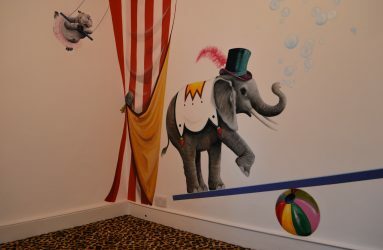 Circus Mural Designed For Paloma Faith | The Decor Cafe | Interiors. Gardens. Lifestyle. Home business. 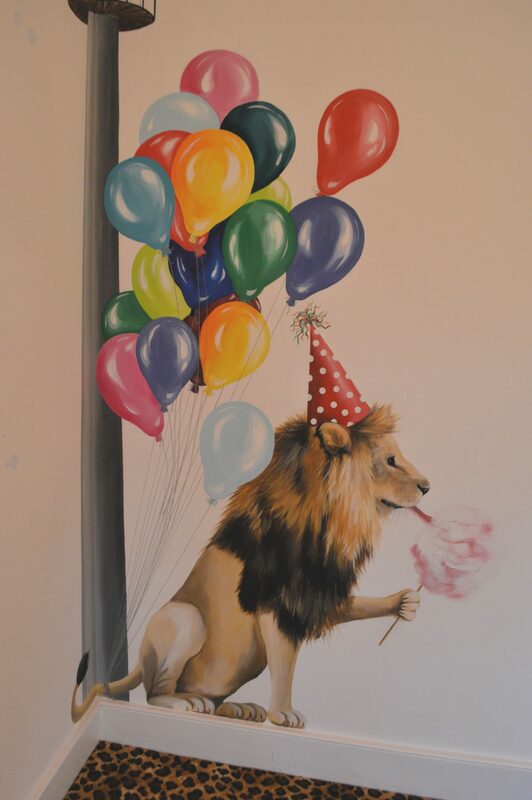 I am an artist and mural designer and have always loved my work. I enjoy working closely with my clients to create unique mural designs for their homes and gardens, but when my second child was born I decided to take a break. I loved every second at home and wasn’t in any rush to get back to work. 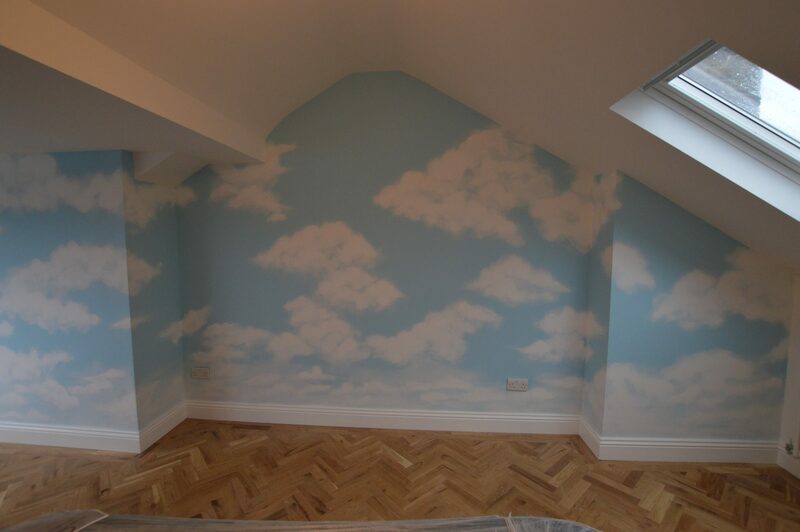 So when I took a call from someone who wanted a mural design for their child’s bedroom my initial reaction was to turn it down. The enquiry had come through pinterest. 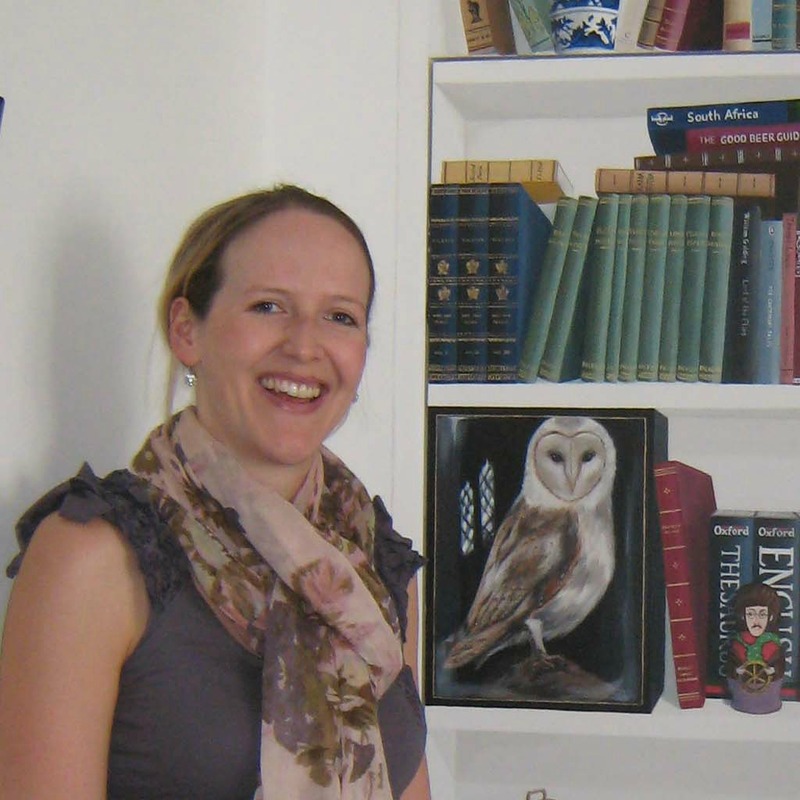 The lady knew exactly what she wanted and had searched the interenet until she found someone with the right expertise – me! We had a long chat on the phone and I found her ideas and energy infectious and decided that I didn’t want to miss out on such a fun project. And I am so glad that I did, because not only was it a lovely design to create but during the next conversation I discovered that the client was Paloma Faith. I would have been sad to have missed that opportunity! 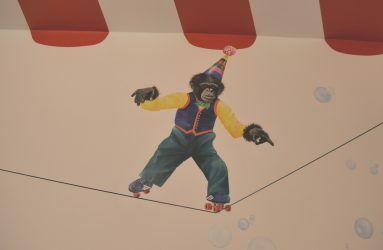 The brief was to paint a bright circus theme with a creative cast of animal characters and no humans. She wanted it to be fun and quirky and I was asked to include a ‘chimp on roller skates’. 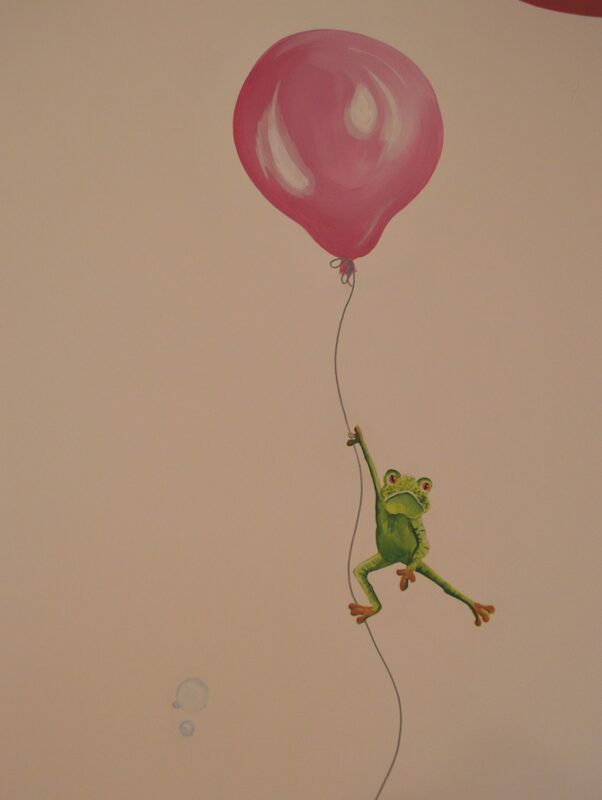 Our little troop grew to include an elephant blowing bubbles on a seesaw with penguins, a hippo on a swing and a frog floating with a balloon. 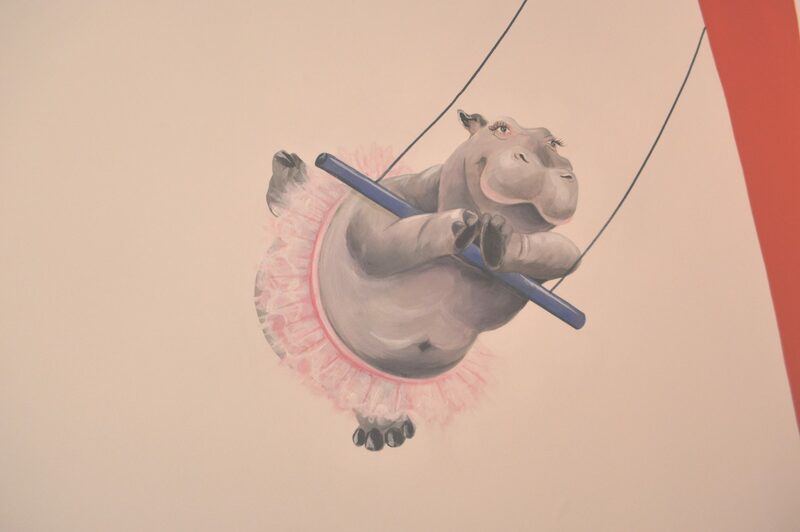 My inspiration came from old pencil drawings and cartoons of the circus. 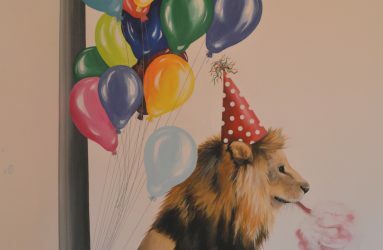 One particular drawing of a lion eating ice-cream caught my eye and we decided to adapt that too. The ice-cream became candy floss and we tied ballons to his tail. Paloma asked for white walls in the bedroom and clouds in the play room. Once the mural was finished Paloma developed the theme across everything with an animal print carpet. polar bear table, giraffe dressing table and rich and colourful cushions and fabrics to bring it all to life. 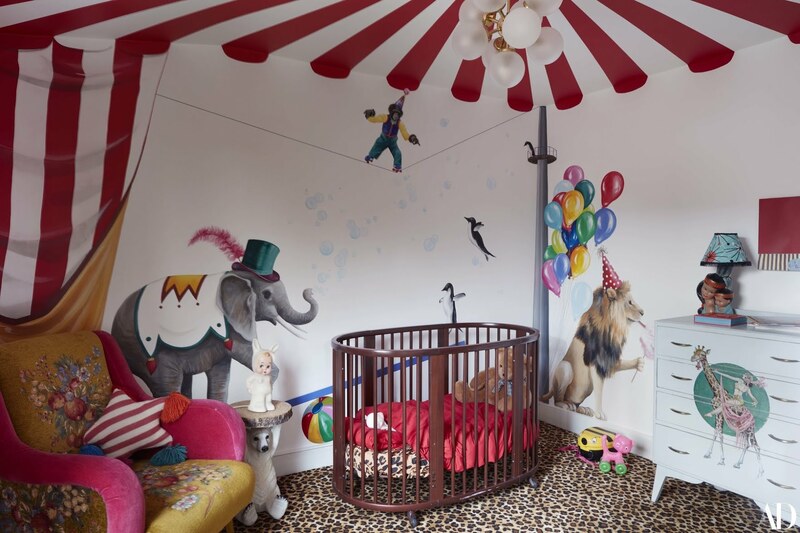 I don’t always get to see the finished result of the completed room but I was so lucky that Paloma gave the Architectural Digest a complete tour of every room in her house and I spied my circus! Click here to see the complete feature. I hope that you like it! Please do let me know. I would love to hear from you. Looks magical, Anna, well done. Ahhh Thankyou! 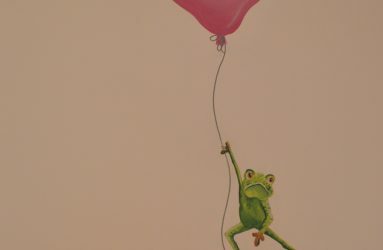 I loved painting it!